Last night, at 00:01, I sat in a theatre completely sold out, full of Star Wars fans anticipating the start of The Force Awakens, the 7th film in the Star Wars series, and the 7th chronologically. The film is set 30 years after Return of the Jedi, which left the Empire crushed, however now, the First Order has risen, and the rebel alliance has had to evolve into the Resistance to survive. We follow a mix of fresh faces and well known old friends in the fight to bring peace to the galaxy once more. This may sound obvious, but if you’ve seen the prequels, you’ll understand how a Star Wars film can feel nothing like Star Wars. JJ Abrams has successfully done that which it seemed couldn’t be done. 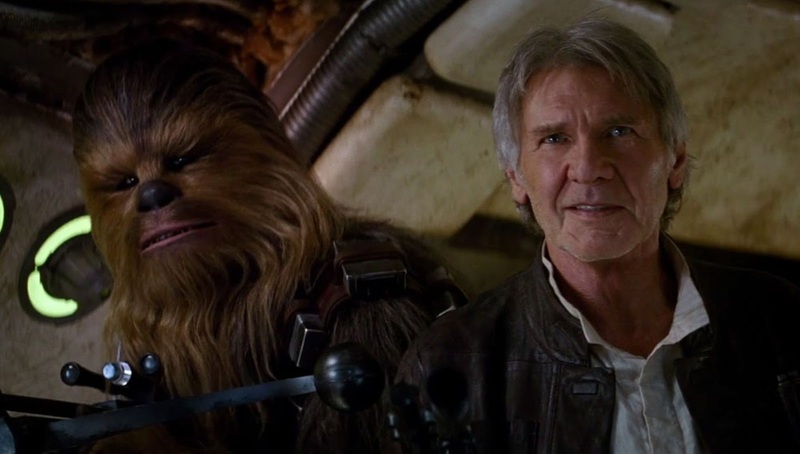 The Force Awakens truly felt like we were back in the Star Wars universe, in the galaxy far, far away. The casting of this film was incredible. 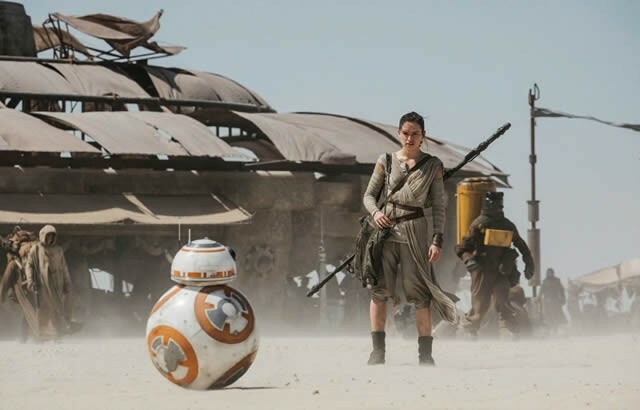 This is a breakout role for a few actors, namely Daisy Ridley (Rey) who absolutely nailed it, she is fantastic. John Boyega (Finn) did an amazing job, and managed to bring a real sense of humour to the role. Oscar Isaac (Poe Dameron) is quite possibly my favourite, Poe Dameron is a great character and I’m not sure anyone could have played him better. Harrison Ford (Han Solo) is incredible back in the role as Han Solo after over 30 years, it is as if the last time he played Han was yesterday. There are no discrepancies in his performance in Return of the Jedi vs now. Carrie Fisher (Leia Organa) is also great, however for some reason I didn’t love her performance quite as much. I can’t put my finger on why, it could have been her writing, it could have been that Leia has matured more than Han as and so is a bit different, or maybe her performance. I kinda doubt the latter however! 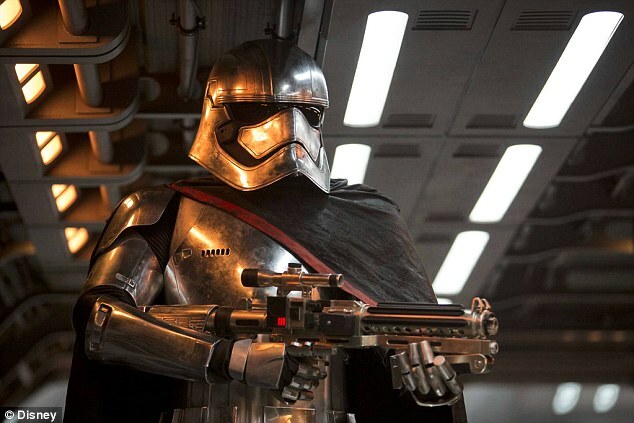 Gwendoline Christie (Captain Phasma) did extremely well with her rather limited screen time. It’s a John Williams Star Wars soundtrack. I think that is enough said. His music can make any awful film better, i.e Duel of the Fates from The Phantom Menace soundtrack is one of my favourite pieces of music ever. I can’t wait for the soundtrack to come out in full. He blended some old pieces together with new, including one of my favourites, Han Solo and the Princess. There was no way the soundtrack wasn’t going to be amazing. I can’t go into detail here, but this film was visually stunning. At times, JJ definitely used the ‘show more, say less’ approach, which worked extremely well. The mix of practical effects and CGI, for the most part, is great, especially with that now infamous scene from an early trailer, the X wings flying over a lake. The Original Trilogy did not have enough women, we had two named female characters, Leia and Mon Mothma, who features in all but a few scenes in one film. The Prequels didn’t have enough great women either, we had Padme and that was about it. This film, we have Rey, the main character, who is female, and not sexualised, and not falling into the tropes that male writers tend to box women in as, looking at you, Moffat. She’s a character little girls who don’t love conventionally ‘girly’ things will adore. And we have a female villain in the form of Captain Phasma, and also Leia as a General! The Star Wars universe is always in need of more women! And the films new trio, Rey, Finn and Poe, is very diverse, with only one of the three being white. With the time we live in, ala Donald Trump, it’s great to see extremely mainstream media breaking down some barriers. Yes, I know there’s always more to be done, but this is a good step in the right direction. This film is legitimately funny, and not ‘cheesy-cliche funny’, actually laugh out loud funny! The humour integrated really well into the rather serious world of Star Wars, and did not at all feel like Jar Jar Binks, misa so glad about that. The next is going to be a mix of a con and a pro. I very much liked the storyline, however some are calling it lazy, which I understand. It almost feels recycled in a sense, but we already knew this from what was revealed early on. Although, I think not rushing in for a crazy new plot line when this is the first in a trilogy, and the first Star Wars film a lot of people will ever see, was a good idea. It will likely work better in the long run than it feels right now. Gwendoline Christie was severely underused as Captain Phasma, especially considering the amount of merchandise and promotion she has had. And Christie is a fantastic actress, it’s a shame we didn’t see more of her. Maybe plot holes isn’t the best word, but there are definitely somethings which don’t add up or completely make sense, maybe they will soon enough, but right now they don’t. The CGI wasn’t perfect at times. It was truly incredible for the vast majority of the film, but every now and then it felt a little unauthentic. Overall, I’d give this film a solid 8/10. It was a classic Star Wars film, it was more then enjoyable, it was a fantastic movie. 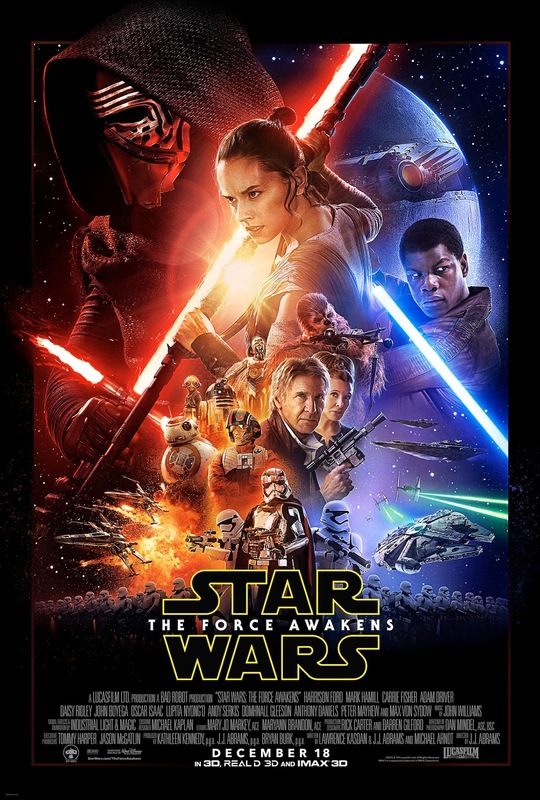 I didn’t expect The Force Awakens to be so good as to sit in with the Original Trilogy, but it was! Right now, IMDB has it at 9.0/10.0, and Rotten Tomatoes has it at 95% with 188 reviews, and at 92% from over 110,000 audience members. This is definitely the film of the year, so go and see it now! BEFORE YOU GET SPOILED!